Here at Fellowship Home Loans, we truly believe that giving back is one of the foremost responsibilities of any person. Our success is not without the support of others. That’s why we’re always looking for ways to help others around us. For us, we try to focus our Philanthropy around many areas including Financial, Experiential, Emotional and Educational. Sometimes, as many of you know, we do a sweepstakes where we pay a Blessed person’s mortgage. Other times we host informational seminars at our local Churches. Everything that we do focuses on truly helping others in ways that we know can benefit themselves and their loved ones. 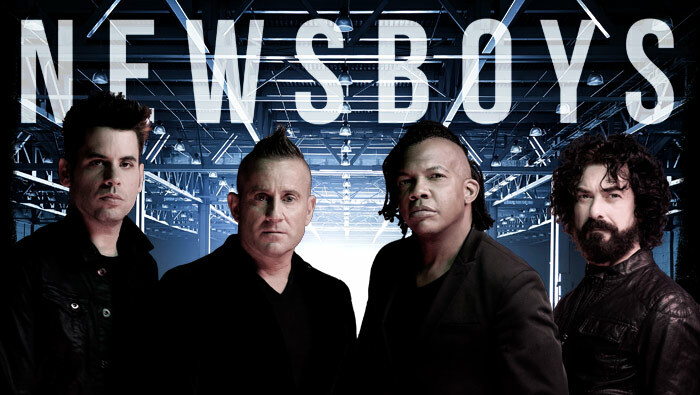 Recently we gave away 4 tickets to see the Newsboys in concert. Our winner of the Newsboys tickets told us upon learning the news “God bless you guys because this came when I hit rock bottom to day”. We we’re very sorry to hear the news of her struggle, but we knew the tickets would go to good use. Her family had two young boys who had never been to a concert before. It was a reminder how sometimes the smallest things can have the biggest impact. God works in wonderfully mysterious ways, and we sometimes are blown away by how random drawings such as this turn out to help in the most Divine of ways.